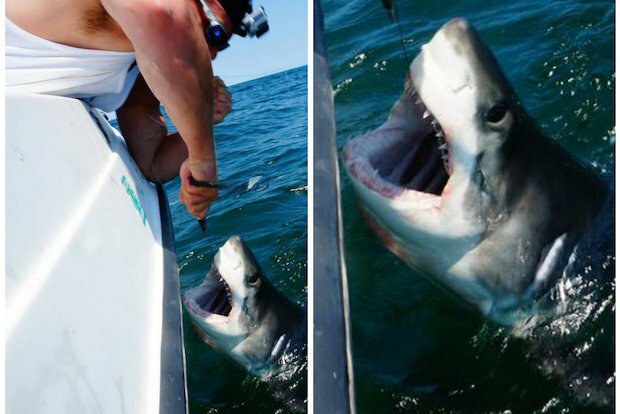 Great White Sightings Off Rockaway Beach: Shark Week is a couple of months early this year, as a baby great white was caught (and released), and a a 10-footer was spotted… on the same day… by the same group of people. DNAinfo gives you the shocking details. Girl Scouts President Gives Advice: No, it’s not a recipe for Thin Mints. FastCo. sits down with Girl Scouts President Anna Maria Chavez, who gives girls some great tips on life and success. Proof That Math is Cool: Quick! Grab your kids! GIF makers are using mesmerizing (and possibly dizzying) images to show that math is fun. So, if your kid still thinks math isn’t fun, put him in front of this Gizmodo article and make him stare at it until he’s convinced… or just thrown into a trance. Cooper Hewitt Museum Lets Visitors Draw on the Walls: That’s right. According to PSFK, visitors of the Smithsonian design museum will be able to relive their toddlerhood and create their own designs. Union Square Cafe Not to Renew Lease: With NYC rents on the rise, Danny Meyer’s cafe is the latest restaurant to relocate. The NY Times has more details on the story. New Rendering of Downtown’s New Beach: They’re bringing board games, beer gardens, and a mini-golf course to the East River waterfront and Bedford and Bowery will show you what it’s going to look like.